You may have read the title and thought to yourself – hang on a minute. The Maldives with children? Does that even make sense? Well, let me explain. 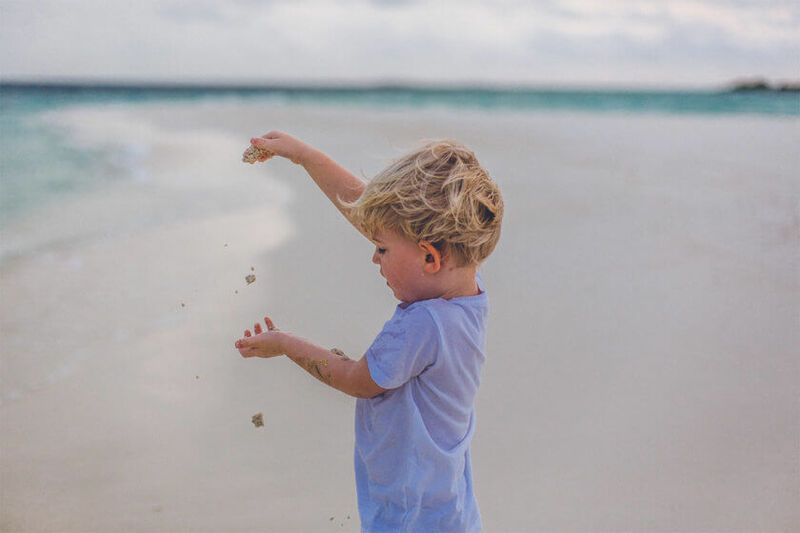 After a total of 4 trips to the Maldives, two of which were with me as a mom and a little guy in tow, I can confidently say that this archipelago in the Indian Ocean is a truly wonderful and stunning place to visit with kids – and here’s why. Unless you counts bikes and buggies as traffic, you will appreciate the lack of cars here. I’d say this is a huge selling point because I usually harbor various fears in many countries I visit with my kid when it comes to traffic. Will that tuk tuk tip over? Will a drunk driver crash into our cab from the airport into town while Atlas sits on my lap? More often than not, baby seats are unavailable, and even simple seat belts can be hard to come by, depending on where you go. Where there are no cars, the air is suddenly so much cleaner. Your lungs will thank you for coming here! Where I’m from, clean air is still considered a given but I have spoken to people from Shanghai and Bangkok who really are suffering under the smog of their home towns. My gosh, that wonderful Indian Ocean, it really is something else. The water is so warm, and the beaches around most islands feature white sand and very slowly progressing water depth. Most days, the ocean is quiet and calm with no waves to disturb your little one’s beach time fun. It’s also a great place to collect shells, build impressive sand castles, and there’s absolutely no shortage of shade-giving palm trees. The Maldives enjoy a reliable all-year climate of around 30°C. While April to October see a lot more rain and thunderstorms than the rest of the year, I find pretty much any time is a good time to be in the Maldives. I have never come here during high season (December to March) but personally I don’t mind that half hour of rain on the odd morning. The magic of the Maldives lies in the stunning beauty of nature here. The atolls are a spectacle. This is the one place in the world, where you should fight for your window seat flying in; you will not be disappointed. Many resort islands have their own sanctuaries, often for (the unfortunately endangered) sea turtles, and welcome marine biology researchers from around the world to literally test the waters. Kids who can swim will delight in snorkeling and exploring the rich underwater world at their feet; smaller kids will love discovering little hermit crabs all over the beach, various types of lizards and geckos on every tree, bats, baby sharks and many other interesting animals one can observe from the land. With kids, more than ever, it’s smart to do a good amount of research towards your holiday destination to avoid surprises. After all, you want everyone to have an awesome time and ending up on the wrong island will be an unfortunate move for both your sanity and your bank account. 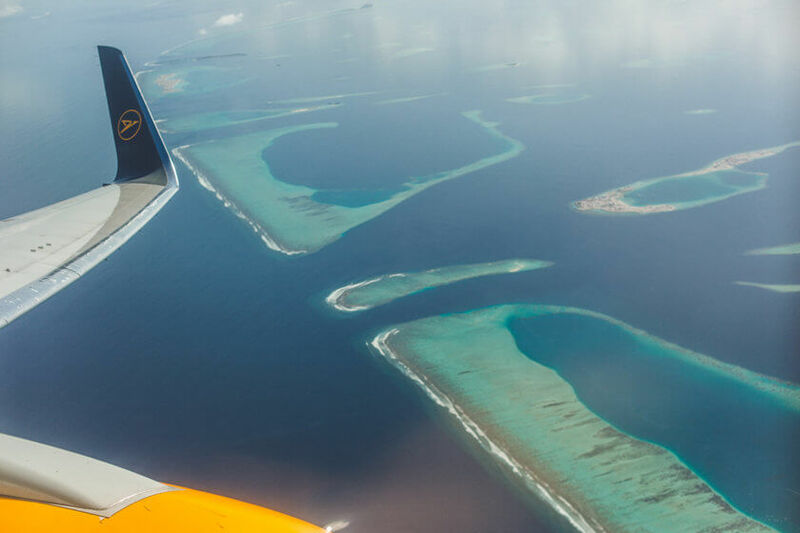 Since flying into the Maldives from Europe or the US is obviously a stretch, your best bet might be to look for a direct flight. For the second time already we used Condor to fly direct from Frankfurt to Male which was an extremely comfortable night flight. We flew premium economy which made the experience all the better. Think large pillows, extra leg space, great food and the latest movies. I can confidently say I have never had a better night flight experience with Atlas. Since our return flight left in the morning, I opted to spend the night of our return at the super comfortable Sofitel in Frankfurt, so we wouldn’t have to embark on the 4-hour train journey back to Berlin after the 10-hour flight. A perfect choice as it turned out, and an ideal way to bridge the pampered lifestyle of the Maldives and the reality of coming home. Do find out if direct flights are available from your home town or a city nearby, as a transfer half way (such as in Dubai) might be quite disruptive to a sleepy child. In the Maldives it’s not enough to simply pick a hotel that has great reviews and looks like the type of place you imagine you’ll be happy in. When you are bringing kids, a sea plane transfer might not be on the top of your priority list. The times here change daily and transfers are weather dependent. If you are very unlucky with your timing, a storm might either keep your from reaching your destination on time, or might make everyone sick. Better to stick to hotels that can be reached by speed boat and find out beforehand if this is an option for the resort of your choice. When you do board the boat always sit in the back for the least bumpy ride. It’s wrong when people assume that there is nothing to do in the Maldives as there is in fact lots to enjoy! Snorkeling and diving are only the beginning. 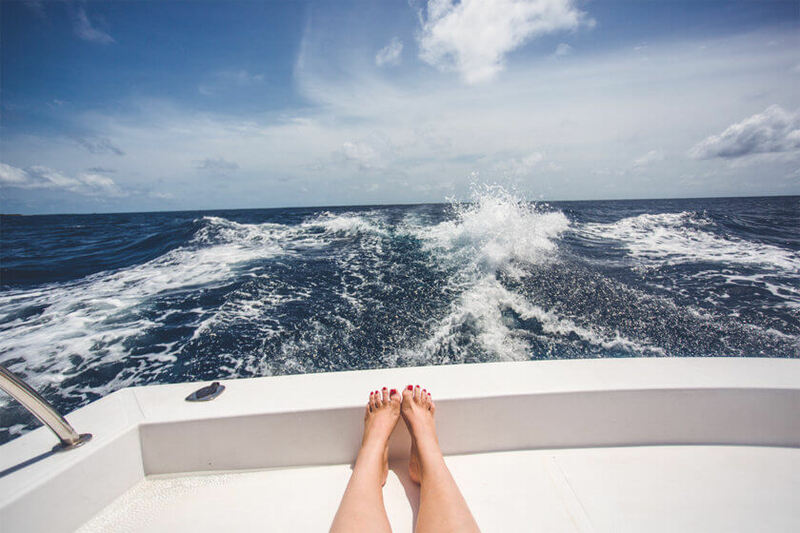 You can go on dolphin and sunset cruises, take cooking classes, engage in pretty much every water sport you can think of and get pampered at the spa. 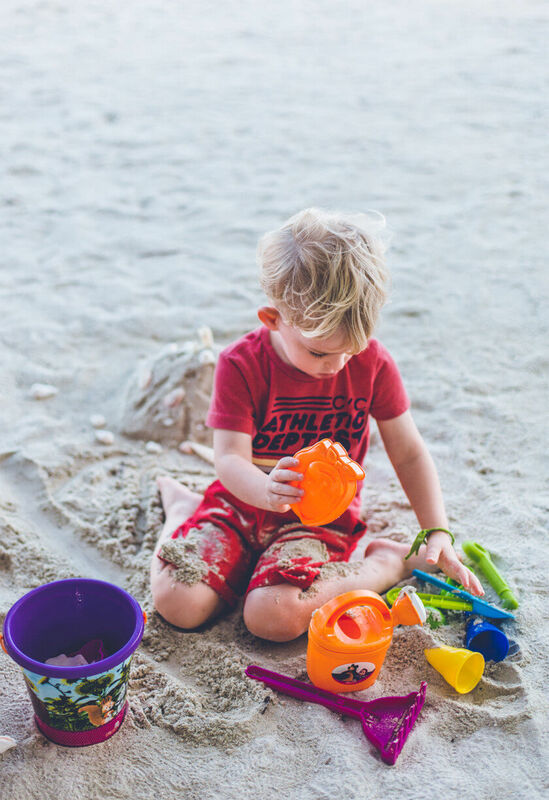 That said, many of those activities, while perfect for grown-ups, might be less suited for younger children so I would definitely advise to seek out resorts who offer a kids’ club or even a scheduled entertainment program. 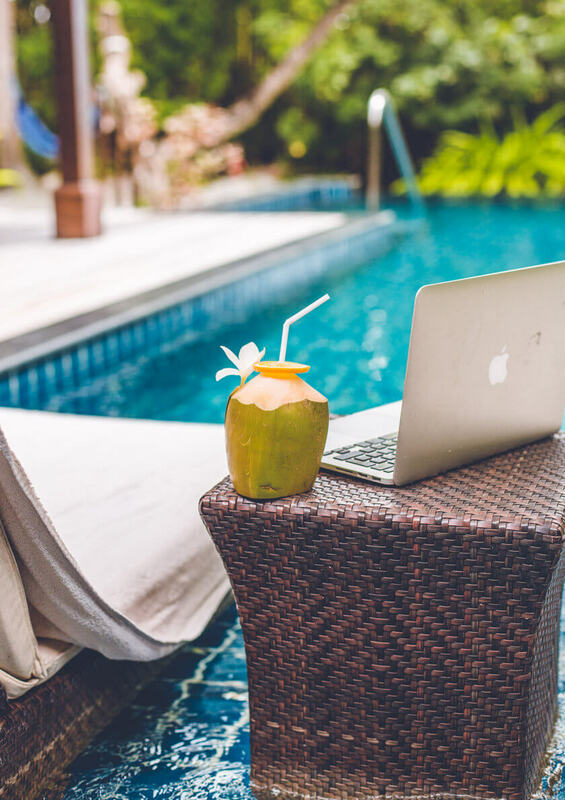 If wifi is important to you, make sure the island of your choosing can provide you with the service you require. I once stayed on an island which didn’t provide wifi in the rooms which was hell, particularly as I was traveling with a small kid and needing to get work done during his sleep hours. It has happened to me that I was given a room at one end of the island when the main bars and restaurants would be on the other. Having to walk 10 or more minutes just to get to your room might be ok for adults, but when you’re carrying a toddler or having to convince a 3-year old to come along, it’s not so fun. Ask ahead of time if a room close to the main area is an option. I bring this up because I have a couple of friends who wouldn’t consider the Maldives for a holiday with kids since they are worried about the lack of quality hospitals nearby. There is no doubt that you do take some risk here, because if something serious happened to you or if you needed to see a specialist, it might take a whole seaplane fare to make the trip to the capital happen. When selecting an island, it’s worth enquiring whether a doctor or a small clinic is in place, since many islands do have that. Some also feature decompression centers, for the divers among you. In our 3 weeks in the Maldives we did consult a doctor 2 or 3 times for minor things and it was comforting to know that someone knowledgeable was near. Which resort works for you? 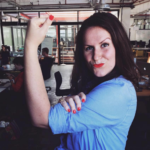 Despite popular belief, the Maldives are far more than just a honeymoon destination. 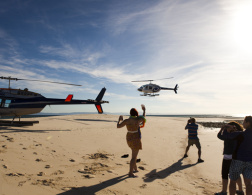 In fact, on our most recent trip to 8 different Maldives Islands, families by far outnumbered honeymooners. 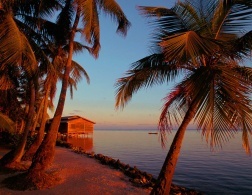 There are of course a number of islands which don’t allow children and some couples might prefer to retreat to those. Families however will find a wide range of options, suited to all budgets. 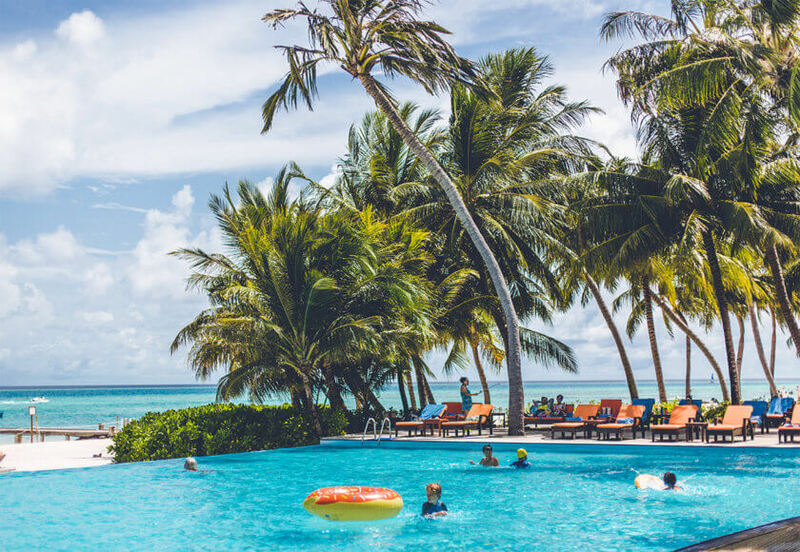 My personal favorite island to visit with children would be Club Med Kani, an all-inclusive island which excels in location, food an entertainment. My expectations for this 4-star club holiday island were not all that great so I was all the more surprised when this turned out a big favorite for both my son and I. It’s not a luxury destination but value for money is very good here, especially if you’re a foodie, like me. This is definitely an island I will not only recommend to other families, but also book again myself. Why did we love it? Food and drink is so important on a Maldivian resort island, because you can’t simply go outside the resort to find food if you don’t like what is being served. 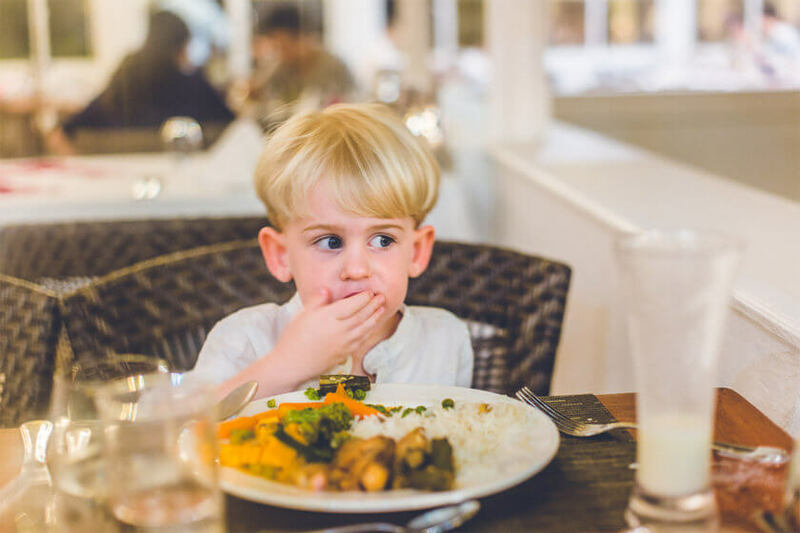 You are heavily relying on the food and beverage management of your resort to make good choices and provide you with a menu you and your children will enjoy. 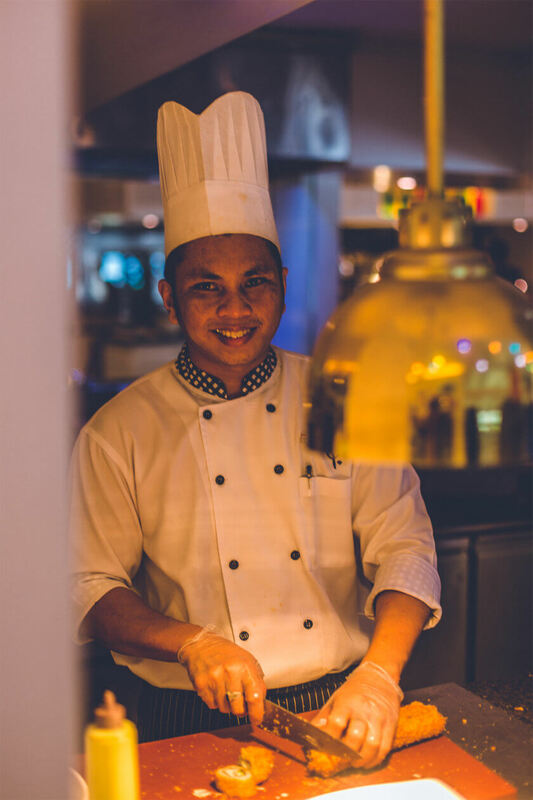 At Kani, chefs from all over the world will dazzle your tastebuds daily, with live cooking stations dishing up sensational and unexpected foods such as frog’s legs (actually very tasty! ), roasted lamb, as well as a host of tasty Chinese, Indian and Italian favorites. Of course, you’ll also get to taste some true Maldivian cuisine; it’s all there for you to try and explore. I also have to give a shout out to the bar team and their amazing drinks, which included some lovely kids’ cocktails (my son still mentions the Virgin ChiChi). There is no excuse to ever get bored on Club Med Kani; after all, there are activities on offer all the time. 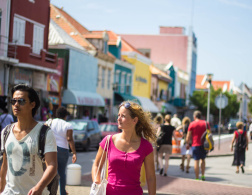 Dancing, gym, water sports, arts & crafts – there really is a ton to do here. 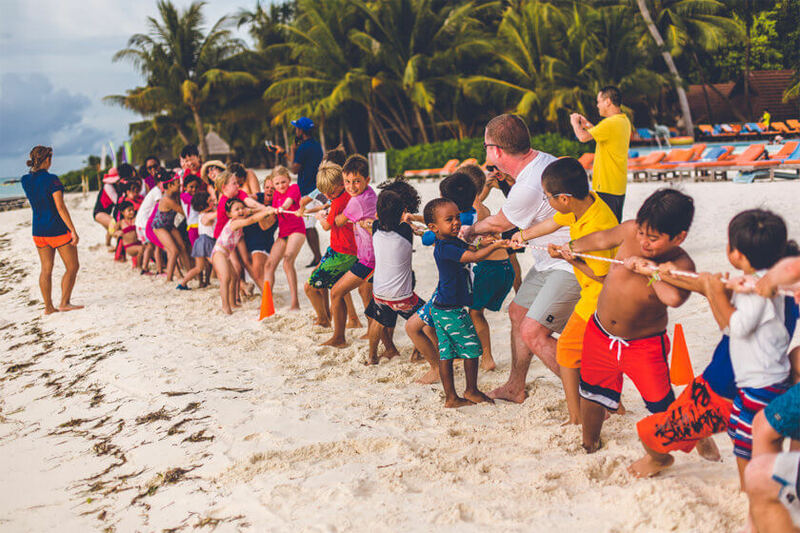 Children will love the kids’ club (ages 4 to 12, but 3 year olds will usually be accommodated too) which always manages to engage the children, typically exploring the island with them, instead of just planting them in front of a TV (which many other resorts often do). Daily live music is played in the evenings, and I have been told that those who wish to party and dance until the wee hours can find a place to do that also. Every island is different, and Club Med Kani is no exception to that rule. It’s a lot less jungle and a lot more beach resort than many of the other islands I have been to; you can easily find your way around and the rooms are pretty standard (yet comfortable). 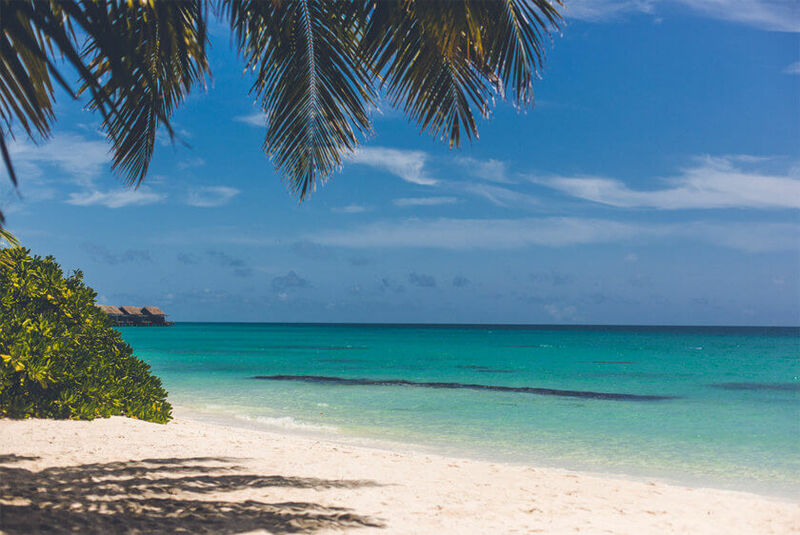 The beach here is something special though – snorkel fans will really enjoy it, and there are some pretty photogenic spots set up for you to make your friends at home jealous. “Holidaying with friends” is the motto of Club Med Kani and I felt every bit of it. Everyone seemed down to earth and happy to be there; at meal times there is always a restaurant manager and a chef welcoming you and ensuring you are having a great time. Every guest is treated as appreciated and special. Have you been to the Maldives? Would you add anything to this list or have more questions? Drop them in the comments! 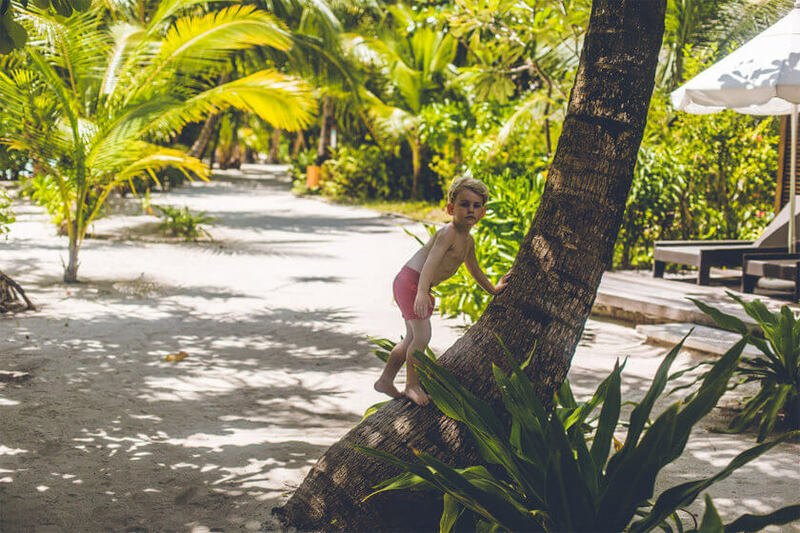 The range of outdoor activities that kids can do in the Maldives is endless - and so healthy and fun for the whole family!